During this first month of 2019 I performed a little experiment. I set up a Google Alert to notify me whenever the phrase “architect of” was used. I did this because I was curious how often the term was used to describe an architect who designed a building as opposed to being used metaphorically to describe the designer of something else. It turns out the term is rarely used to describe actual architects. the architect of L.O.L. Surprise! In an another month HiWorks will be celebrating the fifth anniversary. I could write a book about all the things I have learned along the way. I'm sure some of these lessons are similar to what every small business owner experiences whereas some are unique to those in a design profession. Some of the trends I've encountered are universal whereas some are probably just coincidental. For example it seems that whenever I start to wonder about what I'm going to be working on for the next few months I'll get a random phone call from someone wanting a house or a coffee shop or a community theatre. To a certain degree that is the nature of the architecture profession: you can market all you want but at the end of the day you have to wait for a client to hire you. But the interesting thing is that those random phone calls always seem to come on a Thursday. I have no idea why this is but it happened again yesterday (a Thursday) and I am grateful for it. I don't know what magic exists between Wednesday night and Friday morning but I am content to take full advantage of this phenomenon be it a legitimate pattern or a random fluke. Either way I get to end the week with new opportunities on the horizon. Remember a few years ago when 3-D printers were all the rage? I do and I'll admit I found myself caught up in all the hype. As an architect the appeal was obvious: every project I do is developed as a computer model and it would be great to hit "print" and have a physical model magically appear. This was a potential game-changer in terms of producing study models for our internal use and presentation models for our clients. And so in 2014 after months of research I ordered a fifth generation MakerBot Replicator, the most expensive doorstop I have ever owned. From the beginning there were issues: the first time I started up the machine the build plate chewed up the ribbon cable that connected the extruder to the rest of the printer. I had to return the entire printer to the manufacturer. Weeks later after it was repaired a series of “smart” extruders were constantly clogging and each one also had to be returned to the manufacturer. I was not alone in my troubles: the issues were so large that MakerBot became embroiled in a class action lawsuit over the quality-control issues that plagued the rollout of their fifth generation printer. Meanwhile I was trying to run a business. Although I knew there would be a learning curve involved in becoming proficient in the use of this new tool, there came a point where it became increasingly difficult to justify tinkering with the system that seemed incapable of producing a usable print. Although I produced a few study models that I was able to share with a client, it remained a novelty more than anything else. In speaking with other firms that had made a similar investment it seems they typically have an intern or other employee dedicated to tinkering with the printer to nurse usable prints out of the system. As a small office those were resources I simply did not have available. Increasingly the printer sat unused and I finally decided to sell it on Craigslist before it lost all value. I was eventually able to sell it to a concrete counter fabricator out of Austin for a sixth of what I originally paid for it. Being an early adopter of a technology always carries risks. Sometimes that risk pays off and sometimes it doesn’t. The drone I invested in, for example, proved to be an incredibly tool. The 3D printer was not. Someday the technology may deliver on its promise of revolutionizing the design and construction industries, but that day is not today. There was an article in the Wall Street Journal a couple of days ago about the advantages of waking up early. Naturally I found the story to be accurate and profound because it reaffirmed something I already believed. There are some days I feel I do more between four and six in the morning than I do during the rest of the day. In those pre-dawn hours I'm not battered by the phone calls or the emails or any of the other distractions of adulthood that somehow seem to eat up so much of my time. I don't wake up early because I am some super-disciplined machine: on the contrary it's because I don't have the discipline to turn off my phone and not check my email that I can't be as productive during the rest of the day. Waking up early is also easy when you're naturally an early riser. I never set an alarm but almost always wake up between 4:45 and 5:15 alert and ready to start the day. This is in contrast to my wife who tends to rise at a more typical human hour (although when she does wake up she is really, really angry). The net result of the two early bonus hours I have every morning is that I get a total of fourteen hours - nearly half an entire "extra" day - of productive, distraction-free time every week. This is a good thing. But of course those two hours are not always completely without distraction. A couple of months ago my youngest daughter, Darcy, decided she was done with sleeping. At least relative to her older sister Darcy was historically our "good" sleeper but towards the beginning of the summer she took to getting out of bed at all hours of the night to roam the halls and/or crawl into bed with her parents (i.e. elbow Mommy in the face and knee Daddy in the groin). Although we eventually developed some strategies for getting her to go to sleep in the evening, she was still (and is still) waking up far too early in the morning. And this leaves me torn. Although I still cherish my early bonus hours of unbridled productivity, I also cherish having one-on-one time with my daughter. One of the great things about working when your family is asleep is that you don't feel guilty about not spending time with them. The fact remains that I still have lots to do at 5:00am when I look up and see Darcy in her pajamas, clutching her stuffed animals in one hand while she waves at me with the other. Like so many aspects of parenting, I know there will come a day when I sorely miss these "interruptions". I long to see the three-year-old version of my baby waving at me from the doorway. But that doesn't change the fact that my baby still needs clothes and haircuts and health insurance and contributions to her college fund. It's not that I don't want to hang out with her nor is it that I don't want to work. The issue is that I want to do both of those things. Unfortunately there are only a set number of hours in a day, a set number of days in a year, and a set number of years in a childhood. In that sense I'm lucky to be given a few early bonus hours to experience Darcy's childhood. And for that I am grateful. So I'm a firm believer in modernism. This isn't a particularly noteworthy declaration as modernism has been around for the better part of a century. It's not that I think traditional architecture is bad (heck, I wrote a book about traditional buildings), it's just that I feel we a should be free to use all the technologies and spatial concepts that are available to us to challenge assumptions and make our world a better and more meaningful place. Note that there is nothing in that definition of modernism that precludes the use of more traditional forms and materials. In other words, we see modernism as an inclusive thing. This is good as we have often been asked to design additions to buildings that are in fact more traditional in their design. For example, we recently finished a pavilion for a family in Medina County. The existing house had a series of limestone arches and in order to relate the new pavilion to what was already there it made sense to "borrow" the proportions and detailing of those arches. The argument could be made that the roof structure is "modern" in that it pushes the limits of its materials and is engineered to be a thin, floating plane. The base, however, is "traditional" in that it uses heavy masonry arches not that unlike those used by the ancient Romans. The two approaches are not mutually exclusive and in this little building we like to think they create something more rich than if we had limited ourselves to just being traditional or just being modern. More importantly, these two approaches together create a shady place for a family to gather at their home to eat, to talk and to enjoy one another's company - activities that are just as relevant today as they were thousands of years ago. Last month when I was doing a book signing in Houston I had the opportunity to be interviewed by a writer for Connection, the journal of the AIA Young Architects Forum. 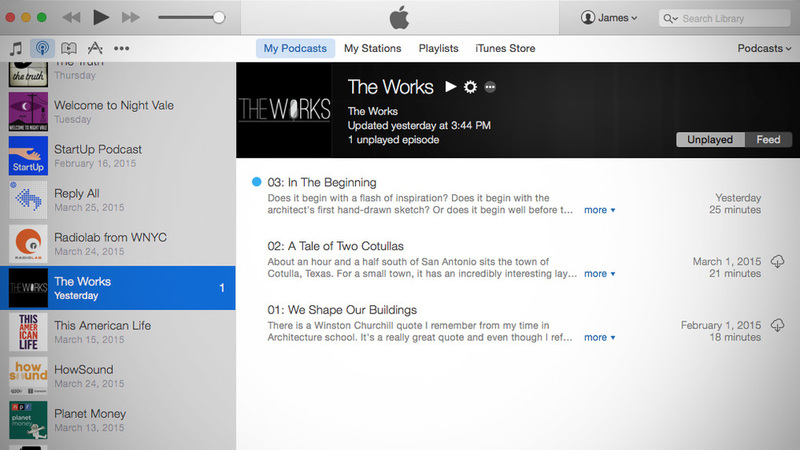 This particular issue focuses on how the built environment is consumed by architects and the public and the article I was interviewed for talks about my experience producing The Works podcast, writing The Courthouses of Central Texas and writing this blog (how meta). One thing we talked about during the interview that didn't make it into the article was the fact that all this "extracurricular" stuff takes time - the most precious and most scarce resource a small office has. As much as I enjoy the writing and the podcasting and everything else, the return on the investment isn't always clear. Ay, there's the rub. Anyway, you can read the article online here. There is a quote out there that says, "Everyone should write a book, build a house and have a son." It's one of those fun, quotable lines that's been attributed to everyone from Plato to Castro and was probably said by none of them. A few variations of the quote exist - Hemingway, for example, supposedly added that every man should also fight a bull. I didn't learn about the quote (or supposed-quote) until well after I had become an architect who designed houses and after The Courthouses of Central Texas was well on its way to publication. As the father of two daughters I didn't comply completely with the bit about having a son but my personal view is that two daughters are worth at least four sons. I naturally found the quote self-affirming in a way that quotes like these are supposed to be self-affirming. Of course, basing your future on a quote that was probably fabricated is a dubious proposition at best. Having kids is no trifling enterprise. It takes a lot of time and costs a lot of money (and my kids aren't even anywhere near college-age yet). And being an architect, while prestigious, isn't the most lucrative profession in the world. And so what about writing a book? Let's take a look at the last few weeks if the "Courthouses of Central Texas 2016 World Tour". As you may know, I installed an exhibit of drawings at the Patrick Heath Public Library in Boerne, I spoke in Boerne to the Genealogical Society of Kendall County, I spoke at a book signing at Brazos Bookstore in Houston and then this past weekend I took down the exhibit in Boerne. In the process I drove nearly 700 miles and spend nearly 20 hours driving, preparing or speaking. That's a lot of time. Doing the math, I would have needed to sell 60 books just to pay for my hotel in Houston. Although sales at both events were really good, I only sold around 30 books total. And so from a purely financial standpoint, this whole book writing effort has been a fiduciary disaster. It took me six years to write and publish The Courthouses of Central Texas. If you add that to all the lectures, book signing and interviews I'm doing now that it exists as a thing in the world, that's a lot of time and effort. When all is said and done I'll maybe have earned a couple of thousand dollars in royalties from UT Press. But here's the thing - even though I continue to hemorrhage money because of those infernal courthouses, I still love them. I still love talking to people about them. I still love meeting people who share that interest and hearing their stories about why they love them. I've met plenty of architects, attorneys and county officials along the way but every once in a while I meet someone totally unexpected. In Houston last week I met a group of students from Sam Houston State University. I was naturally flattered that they made the trip all the way down from Huntsville but I was also fascinated by their program that prepares students for careers in law, law enforcement, politics or some combination thereof. I have no idea what small part my lecture on courthouses might play in their future but I'd like to think that they'll move forward with a greater appreciation of the role of architecture in public life. As these students are a good 20 years younger than I am, hopefully that lesson will live on even after I've shuffled off this mortal coil. And that, I think, is the essence behind the Plato/Castro/Hemingway quote. Writing a book, building a house and having kids is all about creating a legacy - planting a seed in a garden for someone else to enjoy. A book will hopefully still be read after you're gone. A house will hopefully be lived in by someone. And your kids - be they your biological children or the ones you happen to cross paths with as a teacher of some sort - will hopefully still remember an idea or two you shared with them when your paths just happened to cross at a bookstore in Houston. And that, to me, is a whole lot cooler than bullfighting. As a practicing architect, I am deeply ambivalent about design competitions. On the one hand they are clearly exploitative. Hundreds of architects and their teams spend weeks if not months developing designs where there is only a small chance of receiving any type of compensation for their efforts. On the other hand, competitions do allow smaller firms the opportunity to work on projects of greater scale and importance. They allow architects to stretch their design muscles by exploring ideas that their "real" projects rarely allow. For younger designers working in firms where they aren't doing much design work, it provides them with a chance to gain design experience and expand their portfolios. And every once in a while, they actually win something. When I was fresh out of school I entered a number of competitions. I never won any of them, but I came in second several times. What I came to realize was the value of these efforts came not from the potential recognition or prize money that might result, but from the actual experience gained by producing the deign. Every time you design something, you get a little better at doing it and you learn how to better communicate your ideas. Whatever skill I may have as a designer today is a result of the six-and-a-half years I spent in architecture school, the ten years I spent working at various architecture firms, and yes, the sum total of all the time I spent working on competitions I did not win. It's a hard habit to break and I still myself drawn agains my better judgement to enter competitions today. Only now I've learned I don't actually have to enter them. Earlier this summer I learned of a competition sponsored by the Chicago Architecture Foundation that was for a new center focused on architecture, design and education. I was intrigued by the challenge and paid my $100 registration fee. I spent the next month-and-a-half developing a design that would not be housed in a tower in Chicago's loop as the competition brief suggested but rather in a long, horizontal structure that ran alongside the Chicago River. 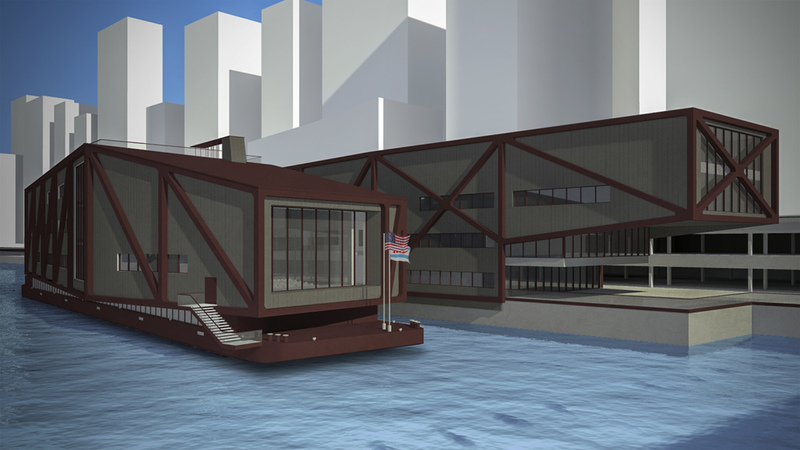 The exhibition galleries and presentation theater would actually float on a barge and so have the capability to travel to other cities, expanding the cultural reach of the institution. Formally the design related to both the curve of the river and the broad-shouldered structure of the bridges that span over it. I was really excited with where the design was heading, but I was running out of time. Unlike when I was younger, I couldn't stay up for three days straight to get it done. I couldn't sequester myself in front of my iMac to knock out the final renderings, print out the requisite presentation boards, box them up and FedEx them to Chicago to be there by today. As much as I may have wanted to do that, I had birthday parties to take the kids to and real jobs with real clients who needed attention. As the Labor Day weekend approached I made the difficult decision to abandon the project and not spend all weekend rushing to finish it but rather go outside and play catch with the girls. Part of me is disappointed that I didn't see this effort all the way through. Part of me wonders about the possibility - however small - of what would have happened if I completed the submission. But at the end of the day someone will win. There are no doubt scores of architects willing to enter this and countless other competitions. Many of them are capable of winning, but I alone am capable of being the father of my daughters. I am only given one Labor Day to spend with Sammy when she is 5 and Darcy when she is 2 and so I decided to spend it with them. Maybe that's hurting my career in the short-term but I'd like to think it's making me a better person, which in the long run makes me a better architect. With all the rain we've been having it has been a challenge to keep my daughters entertained. In an act of desperation, last week I locked one of them in a cave. To be more precise, I took Sammy to Natural Bridge Caverns located about a half hour north of San Antonio. 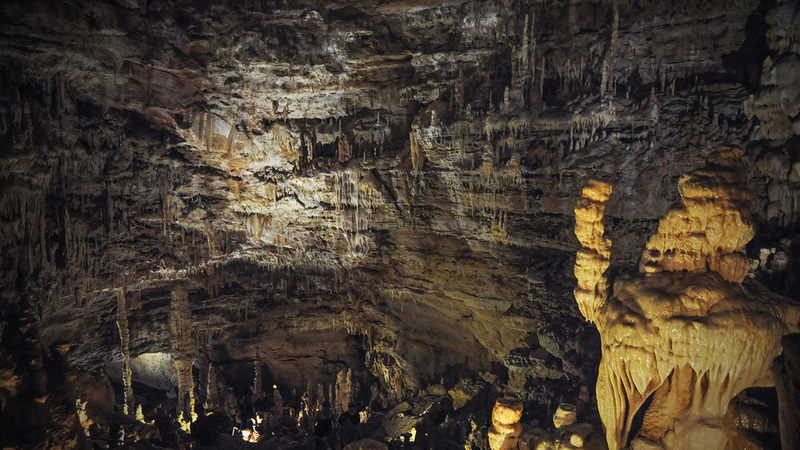 The limestone of central Texas lends itself to the formation of caverns, several of which are open to the public. I've always been partial to Longhorn Caverns (I had wanted to get married there but was informed by my fiancé that I would not be marrying her in a cave), but Natural Bridge Caverns is closer so we went there instead. As an architect, I've always been fascinated by the cave surveys that are produced to map out the interior of these subterranean spaces. On the one hand, they are crude representations of the wonderously complex underground voids and demonstrate the limitations of representing complex three-dimensional spaces on a two-dimensional sheet of paper. That said, these are still beautiful drawings. And the spaces they describe, however abstractly, are beautiful as well. It is truly an architecture without architects; a unique type of space that was created by a natural process with no overriding design intent. Although the mechanisms of how dripstones, flowstone and the like are well understood, the fact that it creates something that we humans find aesthetically pleasing (and will pay good money to see) is fascinating. There is a trend in architecture today to attempt to remove the designer from the process of design. The idea is that a diagram or process can be created so that a constructed algorithm becomes responsible for the building's form. I personally find this approach highly suspect - the hand of the architect inevitably guides the work and to claim otherwise is misleading. But it makes for an interesting thought experiment and in caverns we see the promise of undesigned spaces realized by simple natural phenomenon. For an architect, it is fascinating to experience spaces with no historical precedent that were designed by no human intellect. On the other hand my daughter, who is not an architect, was much more fascinated by the puddles she was able to splash around in throughout the cavern's interior and the doodlebugs she was able to play with outside of its exit. In the third episode of The Works I ask the ultimate question of life, the universe and everything. I also ask where the act of design truly begins. You can listen to the episode here or you can subscribe to the podcast through iTunes. At any rate, if you like what we're doing, do rate the show and leave a comment on iTunes - that helps the podcast appear higher in search results. As an architect, you spend a lot of time trying to imagine what a finished building will be like. You constantly work to anticipate how it will function and the kind of experiences people will have inside of it. You can't anticipate everything, however, and sometimes "happy accidents" occur. Many times these unintended results are ephemeral - the setting sun will reflect off a pool of water and animate an otherwise blank facade. Or in the case of the Connexa Energy project, a window will align perfectly with the construction site's port-a-poty. 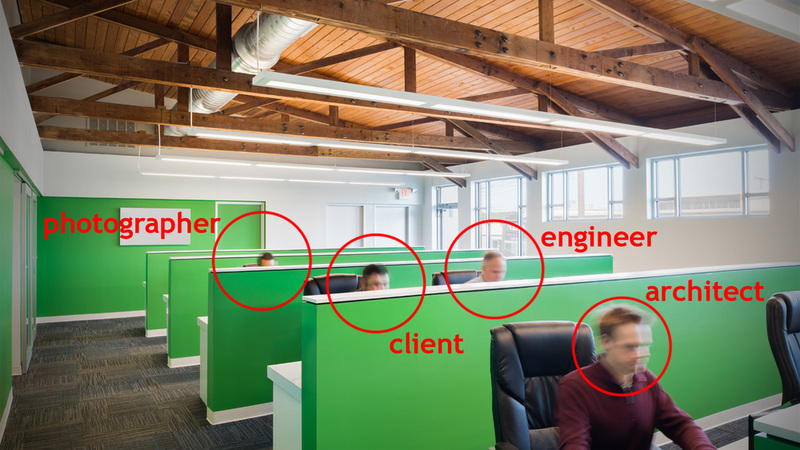 Ever wonder who the slightly blurry people are in architectural photographs? Well, when we had Mark Menjivar shoot our recently completed Network Operations Center project, we asked the entire project team to act as models. On the one hand, it was a great way to reunite the team to see the result of all our efforts. On the other hand, I don't think this is going to launch our modeling careers. Perhaps we'd best stick to designing buildings. The San Antonio Express-News recently ran a story on seven architects to watch in the San Antonio area. The story was pitched as a story about five young architects to watch, but there ended up being more of us and none of us were all that young. Either way I was flattered to be included in the story. It was also really cool that I had knew or worked directly with nearly every other architect profiled. Tenna and I worked together at Lake|Flato and our daughters are friends. Tobin and I worked together at Lake|Flato as well and I helped him out on some of his early solo efforts. Patrick helped give me some advice about 3D printing and Jonathan and I are working together on the High Cotton project in Lubbock. I thought the article was well written and the writer, Steve Bennett, did a great job of making me sound reasonable articulate. That said, the experience did teach me that standing at the edge of the frame of a photograph taken using a wide-angle lens adds at least 10 pounds. To become an architect one must complete several tasks. One must survive five years of architecture school followed by as many years "interning" in an architecture office. One must pay vast sums of money to a quasi-governmental organization to maintain records (that one must pay additional monies to access). And then, when all that is done, one must past a series of constantly changing physical and emotional tests that have little or nothing to do with the actual practice of architecture. If one happens to live in San Antonio, one most likely will take these tests at a testing center near the intersection of 281 and Thousand Oaks. The center itself is located deep within the bowls of a building and one must walk down a long, dark corridor before having one's person searched for contraband. Only then can one enter the sacred exam room to sit for the dreaded 6, 7 or 9 exams. All of this, of course, is completely absurd. 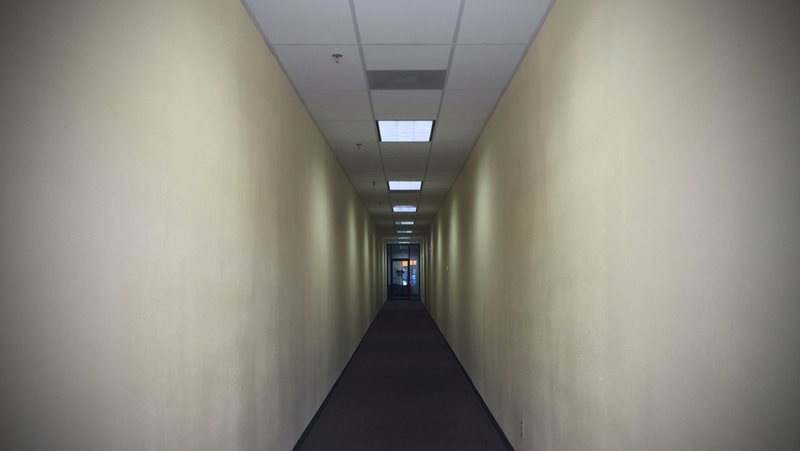 I was walking by the testing center the other day and happened to look down the corridor that I walked down so many times so many years ago. I couldn't help but smile. Then I spat upon the ground and walked away. I took advantage of the break between Christmas and New Year's to clean out my closet and take some things I wasn't wearing anymore to Goodwill. One garment I donated was a light jacket that had become more than a little threadbare around the cuffs. As I was considering this particular jacket, I realized it was almost 13 years old. I bought it in my final months of living in Chicago - it was technically spring but the weather was still cold enough to require an additional layer that was less heavy than my bulky fare I had been wearing to survive the winter. And so I made the short walk from where I worked to the Gap on Michigan Avenue. Gap clothing was generic enough for my taste at the time (apparently I was part of the earliest normcore fashion vanguard) and so I was able to find an affordable, nondescript jacket that did the job. After I moved back to Texas, it turned out that a light spring jacket in Chicago also served as a good winter coat in San Antonio. Having been manufactured in 2002, the jacket contained a small inside pocket that was designed to fit a mobile phone. At the time I thought this was a really cool feature as it perfectly accommodated my Nokia 6185. In the years that followed, I updated my phone several times but kept the same jacket. As the form factor of phones changed from "candy bar" to "clam shell" to "slate", the pocket became increasingly useless as it no longer could accommodate the very thing it was intended to carry. It instead became a reminder of how infrequently I update my wardrobe. Fashion is intended to be short-lived and typically does not try to incorporate technology. Buildings are different - they are built to last decades (if not centuries) and by definition have technology embedded throughout. As a result, architecture is littered with vestigial tails of obsolete technology. Did the house you grew up in have an intercom system that was never actually used? 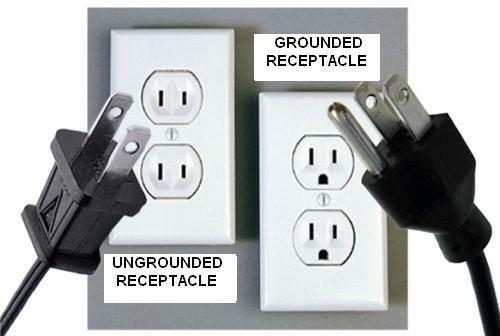 Ever try to stick a grounded plug into a two-prong receptacle? I can't tell you how many built-in media cabinets I designed over the years to accommodate the tubes of large-screen TVs that are now way to deep for the flat-screen LCD displays they now contain. Often as architects we are tasked with developing a precise solution to specific needs. We are really good at this. The trick is those needs - especially as they relate to the accommodation of technology - often evolve after it is constructed. At the end of the day, flexibility is important as we cannot change our buildings as often as we change our clothing - even if you happen to be someone who wears the same clothing for 13 years.